The Bloodhound has been around for a long time. It is a large breed with males topping out around 100 pounds! It may be large but the Bloodhound is so so gentle and is fantastic with children. There is one precaution though. The breed is not meant to live in a cooped up city environment but needs to be on a farm environment with acres and acres of room to run around. The Bloodhound is a fabulous hunting dog with a notorious nose that can sniff anything. They are used by law enforcement to find people. Each person has a particular scent and the Bloodhound is trained to find it! Dogs are notoriously near-sighted throughout their lives and see basically shades of black and white but they, like the Bloodhound, make up for those deficiencies with an ultra sensitive olfactory (nose) devise! Because they are so strong, the animal needs a well made leash to make controlling the animal much easier. From a medical perspective the Bloodhound has problems related to the multiple skin folds around the head and neck. One of the big owner complaints is bad “body odor” emanating from “somewhere” on the dog. Like other breeds with skin folds, the odor is caused by a bacterial pyodermaThis is a skin infection usually caused by numerous bacteria notably: Staphyloccoccus aureus, Pseudomonas sp and Mersa (Methicillin Resistant Staph Aureus); the latter which is extremely difficult to treat in animals., yeast dermatitis or a combination of the two. The issue is made worse during the hot and humid weather of summer. 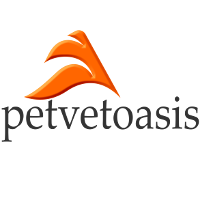 Treatment is with appropriate antibiotics, antifungals and topically applied medical shampoos. A good rule of thumb for using a medical shampoo is twice a week for 2 weeks than once a week forever. 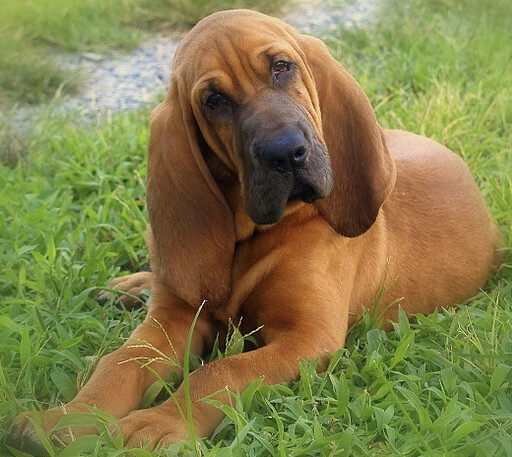 Like other breeds with floppy ears, the Bloodhound is prone to ear infections so they need to be cleaned routinely. Like the Basset Hound they have long ears that get in the way. They often get caught on branches and get cut and infected. Although they are big and need a lot of room to roam, the Bloodhound is a wonderful, gentle dog for families that have the space to accommodate the dog. Learn more about the Bloodhound at Animal Planet’s Dog Breed Selector.